Arguably one of the greatest and noblest of superheroes to ever grace pop culture, in print and on (both small and large) the screen is Superman. Created to serve as a paragon of virtue, the motto of fighting for truth, justice, and the American way became a catch phrase for this mighty hero. In fact he became so mighty that comic book writers had to create some equally mighty villains to battle him otherwise there would be no challenge and no sense of victory for him. People would get bored with reading the exploits of a superhero that was never properly threatened purely on a “power against power” level. Past villains always had to use some type of technology in order to challenge the man in blue. In fact Superman became such a powerhouse for DC Comics that it was decided to really go out on a limb and do something dangerous. They decided to kill him off. This would not be a trick, or an illusion, or some elaborate ruse on the hero’s part for him to eventually get the upper hand. He was going to die. With this idea DC published what was one of the most controversial, and popular story titles, The Death of Superman. So popular was this story that there have been several versions of this story filmed. It was even to be attempted by Tim Burton and starring Nicholas Cage in the title role, but it never came to pass. Then Warner Bros.Animation did a single home video release that saw Superman killed and resurrected only to defeat his enemy by movie’s end. 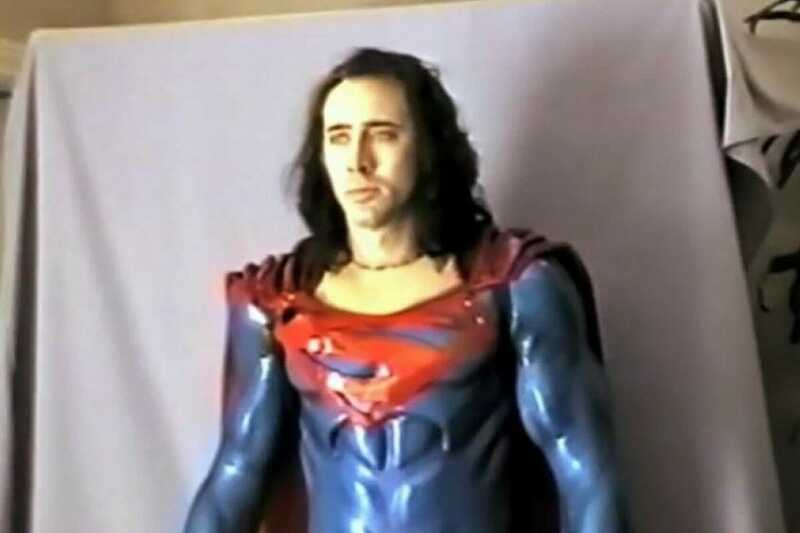 However that version was not looked upon fondly by this viewer because it did not properly treat the impact a death of this nature would have, as well as short changing the battle that would claim Superman’s life. We then had Batman vs. Superman from Warner Bros. that starred Ben Affleck and Henry Cavill as their respective characters, and towards the end we saw a VERY loose adaptation of the Doomsday story that saw Superman’s death in the final act. Now comes the newest version from Warner Bros. Animation, this being a feature length and it is truly The Death of Superman. Superman is beloved by the people of Metropolis. He’s not entirely comfortable with some of the adulation he receives, but he sees that most everyone’s intentions are good, and he honors them with photos, conversations, and even hugs from time to time. As Clark Kent he’s equally at odds with feelings of intimacy. His dating relationship with Lois Lane is awkward at times, and even she is suspecting that he’s not being entirely honest with her. Superman is also a member of the Justice League, and with heroes Wonder Woman, Batman,Green Lantern, Martian Manhunter, and Hawkman alongside they help to keep the world safe… that is until a mysterious meteor of sorts is on a trajectory to Earth, and when it crashes it unleashes a terror the likes no one has ever seen before. The world is virtually not safe from this creature that can only be regarded as Doomsday, for all who stand before him are killed. Even Lex Luthor, with the most amazing hubris, can’t control and stop Doomsday, and just as Luthor is about to have his final dance with Mr. G. Reaper he is saved by his archenemy Superman. Nothing can stop Doomsday. The entire Justice League has fallen at the hands of Doomsday, and it is only by a miracle that none of them are killed. Superman, after going round and round with Doomsday, fails at every turn. Can anything stop Doomsday? With a title like The Death of Superman it’s no great secret how this movie ends. What does make this movie work is how the battle unfolds. Hero after hero fall at the hands of Doomsday. He is a creature of pure rage and exists simply to kill and destroy. He is the ultimate Doomsday creation. Even the combined talents of other members of the Justice League, especially with the power and strength of Wonder Woman and Martian Manhunter combined, they are never given the opportunity to get that advantage to take Doomsday down. It’s only when Superman witnesses something potentially devastating that he summons what is needed to defeat Doomsday, but at the cost of his own life. It’s the drama that made this so incredibly powerful, even for an animated film of this nature. What is also spectacular is that this movie treats the story the same as in the comic book. There is a death and then we see the ramifications surrounding that death. We see people’s reactions and how some are even heartbroken on a very personal level by this tragedy. The animation is standard from Warner Bros. It lacks the subtlety you might find from a Disney movie, but it plays well. What did throw me is the time period this story takes place. When initially published the story took place in 1992. However this movie takes place sometime during the New 52 era, and even addresses the romantic relationship that existed between Superman and Wonder Woman. Aside from that the heart of this story couldn’t be truer to the comic book. It even telegraphs the follow-up story that DC ran for almost a year after Death, titled Reign of the Supermen, and based on what little was shown it certainly appears that they’ll be trying to stay true to that series of comic books. The voice talent of this movie is quite strong. As Superman we have Jerry O’Connell returning to the title role (he first voiced the role in the Warner Bros. animated movie Justice League: Throne of Atlantis in 2015, and more recently in Justice League Dark. While some might view his voice as a bit too light for the role, he does come off with the necessary authority to make you feel he is the Man of Steel. In a clever use of life imitating art the studio casted Jerry’s wife Rebecca Romijn as Lois Lane. 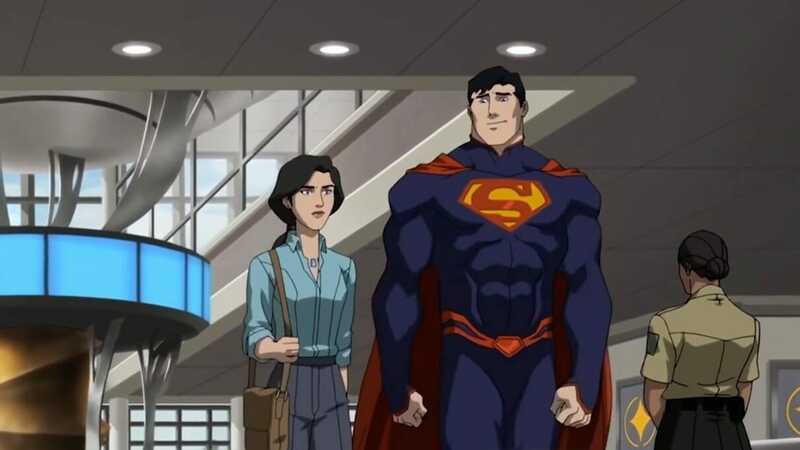 While I felt her voice was not the right timbre for the role, I sense that Jerry and Rebecca recorded their lines together in order to help give the sense of relationship between Clark/Superman and Lois some honesty and integrity, which the movie did have. 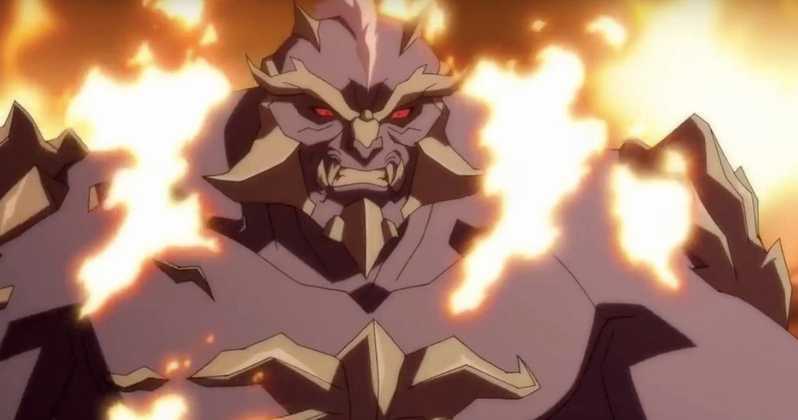 Also returning to the animated world is Jason O’Mara who has also had several tries at playing the Dark Detective, again more recently in Justice League Dark. Here is someone who could serve as a very worthy successor to now legendary Batman voice actor, Kevin Conroy. O’Mara was excellent! If there were any character that truly didn’t work for me it would be Lex Luthor. Voiced by Rainn Wilson, he gave the character of Luthor a certain snarky quality that never felt right. This could be purely subjective, but I never viewed Luthor as petulant. He was always very calculating and cold, but this was not something that Wilson was able to put across in his performance. This movie is also loaded with Easter Eggs. Two that were immediately noticed were direct references to Superman: The Movie. This critic will leave you to determine what they are. Needless to say, I found them most amusing. 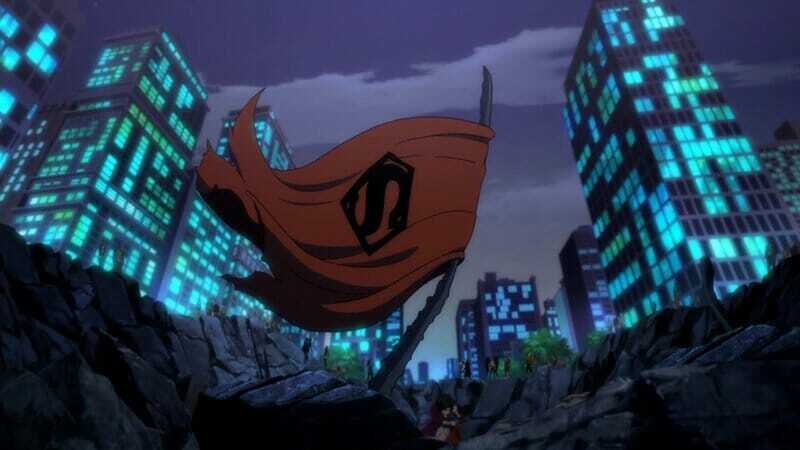 The Death of Superman will probably go down as one of the finest animated movies put out by DC and Warner Bros. Artistic licenses notwithstanding, the very essence of the comic book story that took the world by storm is very much present in this movie. By the time the credits started to roll I found myself very emotionally moved. It made me think, it made me anxious, and it almost made me cry. Bravo!!! The Death of Superman receives 4.5 out of 5 stars!!! Fathom Events will be showing in a double bill feature on January 13th and 14th both The Death of Superman and Reign of the Supermen in theaters. The Death of Superman is available for streaming on DC Universe, and Reign of the Supermen will be available on DC Universe and Blu-Ray January 15th, followed by an Ultra-HD/Blu-Ray release on January 29th.